Missed the Convention? Experience our 50th Anniversary Convention Online! Filled with stories, photos and mementos from our movement by couples, priests and families, the WWME Anniversary Book chronicles 50 years of the rich Worldwide Marriage Encounter movement. Read how our movement has truly changed lives and families one married couple and one priest pastor at a time! 222 pages in full color. Only $20 each. Fr. Joseph Mary Wolfe is joined by Fr. Tom Ogg and Scott and Karen Seaborn who explain what a Worldwide Marriage Encounter Weekend is and how the group has helped improve and strengthen marriages across the globe. Looking to rediscover your spouse on a Marriage Encounter Weekend? Hear it straight from participating couples and their families too! How was your Marriage Encounter Weekend? Burbank, CA - On Valentine's day we celebrated Harold and Edna Owings married 82 Years. 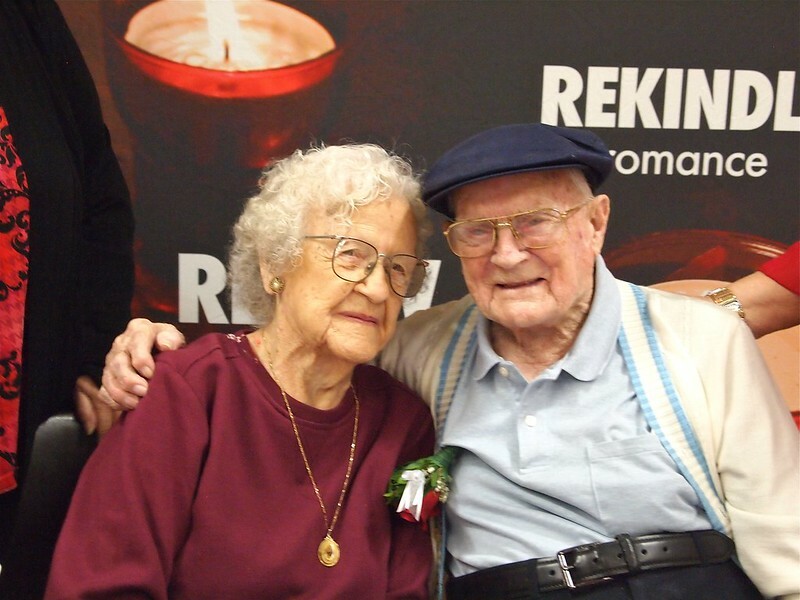 Surrounded by family and friends, the childhood sweethearts have longevity in their favor as Harold is 102 years-old and Edna 101 years young. Worldwide Marriage Encounter sponsors the annual event to highlight exemplary and inspiring married couples across North America.